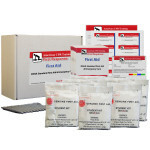 2 Triangular Bandages Non-woven 42" x 42" x 59"
American CPR’s OSHA Standard First Aid & Emergency Care training course includes information about emergency assessment, rescuer safety, soft tissue injuries, care for shock, burn first aid, musculoskeletal injuries, medical emergencies, and some forms of sudden illness such as convulsions, seizures and poisoning. The program also includes sections on Heat & Cold related emergencies, Dental, Nose, Eye & Animal related first aid emergencies, and even Triage. 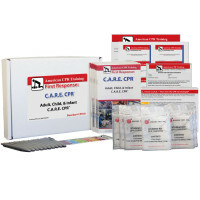 American CPR’s OSHA Standard First Aid & Emergency Care Program is designed to incorporate lecture, demonstration, DVD (sold separately) presentation, student books & training materials, individual student practice kits, and student participation. 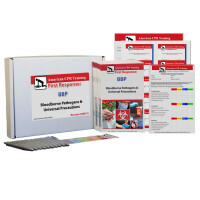 A quiz is included, which may be given at the instructor’s discretion, or used as another group learning tool, but skill testing is not required. 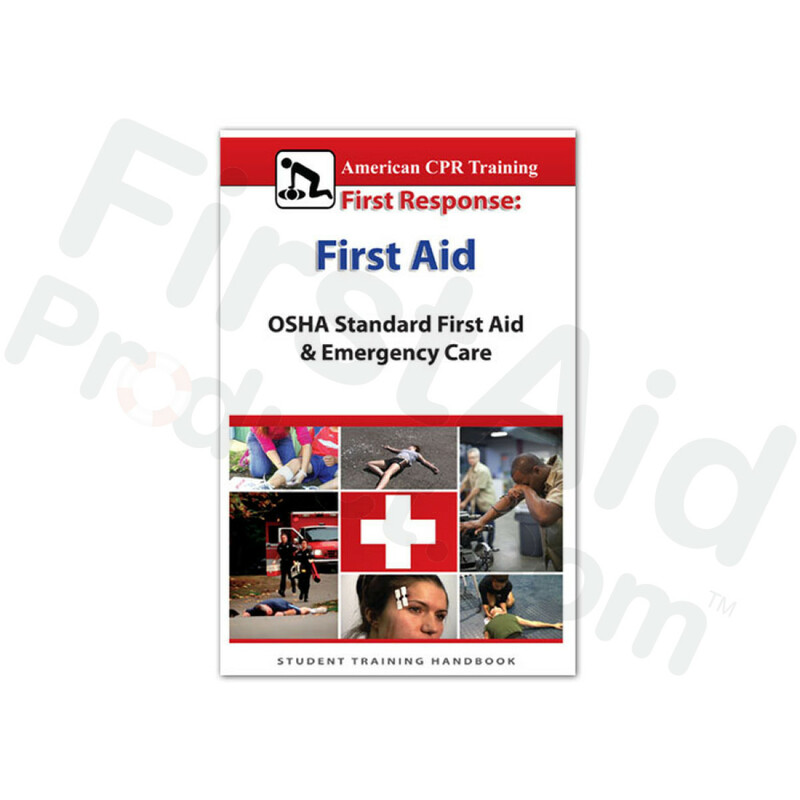 OSHA Standard First Aid & Emergency Care Certification is valid for two years. 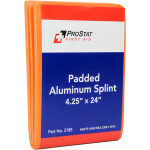 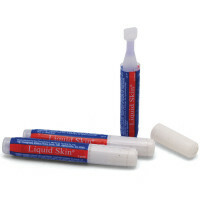 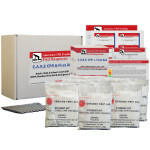 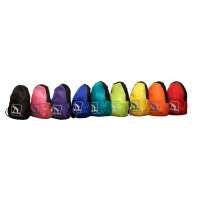 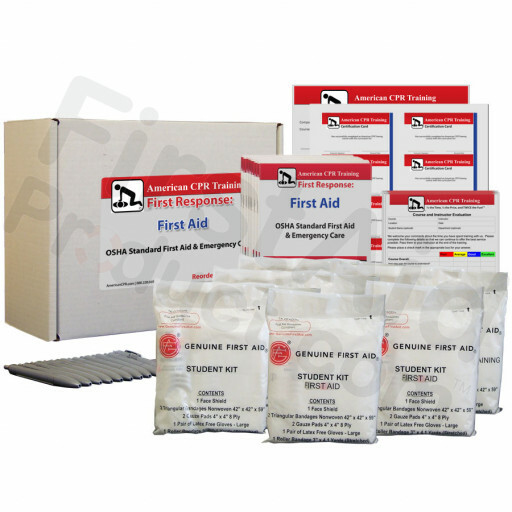 OSHA Standard First Aid & Emergency Care Training Pack for 10 Students.